Instagram has become a new phenomenon lately. Be it a celebrity or your classmate, you'll find at least a dozen people you know snapping their own pics, applying retro effects to them, and sharing them all over the Internet. From Kim Kardashian to Pope Francis, the vintage snap revolution has taken the world by storm. 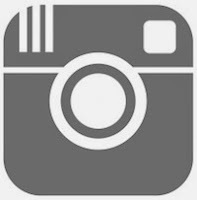 Instagram, launched in October 2010, was first available solely through the Apple App store. As the company grew, it expanded its wings to our favorite platform that is Android. Then, it was acquired by Facebook for $1 billion thus leaving the founders laughing all the way to the bank. 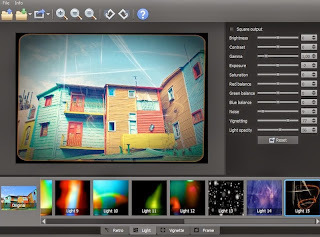 Xnretro is a cross-platform tool that lets you add retro effects to your photos. The app, which works on Android, Windows, Mac, and even Linux, has as many as 20 color effects. What makes this app even cooler is that it has light effects like bokeh thus allowing you to create beautiful pictures. Once installed, the usage of this app is pretty simple. All you have to do is add your photo and select from the different effects like retro, vignette, and frame. If you are a pro user, you can fine-tune the settings further by changing the various output settings. Another great app that you might want to try is Pixlr Express. Though you won't find this app working as a native software, you will, instead, be surprised how good it is once you start using it. Not only does this app bring Instagram-like photo editing to your web browser, it also brings some of the best photography tools for you to use on any of your snaps. Like other web apps, Pixlr installs directly to your Google Chrome browser thus allowing you to add it to your desktop like any other normal app. Once installed, you'll be able to import your photos from your computer, from your webcam, or from a URL. These photos can then be fixed for redeye, vibrance, color, contrast, and blur. In the effects section, you can add various popular retro-style effects to your snaps thus making them look really cool. Once you're done, you can export those photos back to your computer so that you can access them from anywhere.